If your hot flashes are especially severe, you might be wondering if there's something wrong with your body. The good news is that there's not likely to be an underlying problem, but the bad news is that you may simply experience more extreme hot flashes - and continue to do so until they abate. Keep reading to learn about some important things to know about severe hot flashes. Most women going through menopause are familiar with hot flashes. When it comes to severe hot flashes, the condition is incredibly similar, but the symptoms tend to be exacerbated. In other words, the same symptoms are usually present, but they may be exaggerated or more disruptive to everyday life. Often, one woman may experience hot flashes that range in severity, which means that many women who experience normal hot flashes may also have occasional severe hot flashes as well. It is important to realize that there is no clear medical distinction between “normal” and “severe” hot flashes. Because this is such a subjective experience, most rating systems in studies and other medical or scientific realms rate severity based only on how much it interrupts normal functioning according to the woman who experiences the hot flash. Therefore, there is little scientific data about severe hot flashes specifically. Hot flashes can also often cause a feeling of chill after the experience ends because of all the body heat lost during the hot flash itself. 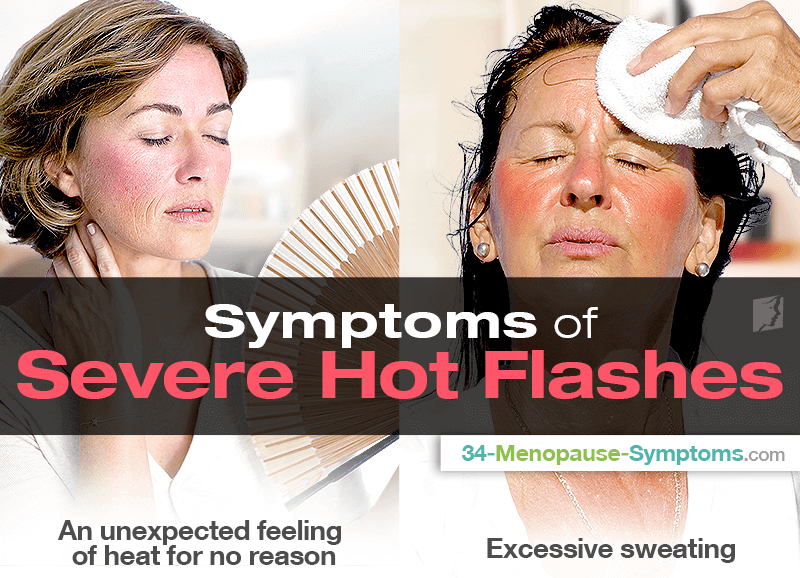 Severe or extreme hot flashes tend to present with exaggerated versions of these symptoms. So the heat experienced may be hotter than usual, or you may begin to sweat more profusely than somebody with normal hot flashes. Severe hot flashes treatments can include herbal remedies or simply some useful lifestyle changes. In particular, reducing stress and exercising regularly have been shown to have a beneficial impact on hot flashes. If you are experiencing extreme hot flashes, you are more likely to be a better candidate for prescription medications used to treat hot flashes. This can include hormone therapy, but may also include a number of other medications known to improve severe hot flashes' symptoms without the dangers of hormone replacement therapy. Now that you know all the most important things about severe hot flashes, you can begin to find ways to manage them. Learn more about the best things to do or to take for hot flashes by reading this article. Hot flashes are one of the most frequently experienced menopausal symptoms, and anxiety can trigger hot flashes that are more frequent and severe.